Built in 2005 and refurbished in 2010, La Belle de Cadix is dedicated to the Guadalquivir River, Gulf of Cadiz and sometimes the Guadiana River, actively cruising through all but high-summer months. The Belgian-built vessel is capable of navigating ocean waves within a few miles of the coast in order to reach Atlantic ports just beyond the Guadalquivir River's mouth. That dual capability makes for an especially sturdy river cruise through Andalusia with its calm waters -- and therefore makes an ideal cruise for first timers and passengers more sensitive to motion. 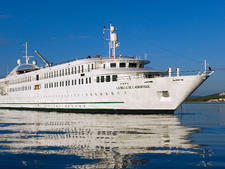 While the ship's overall color scheme is heavy on pastels and light wood tones more popular from decades past, the ship is in good shape, polished and well maintained. Furnishings are both practical and comfortable, and rooms and common spaces -- like the lounges, terraces and restaurants -- are clean and organized. During the days, this cruise does not offer afternoon entertainment -- letting passengers enjoy leisure time that's perfectly suited to the mellow ambience of southern Spain. In the evenings, the dining room, lounges and sun deck are lively venues for conversation, cocktails and dancing on special entertainment nights. Note that American guests can rely on all crew and some passengers with whom to speak English; but on this cruise there is a language barrier between English speakers and most other passengers, since they are predominantly from French- and Spanish-speaking countries. Generally, the ship offers everything one needs for a pleasant cruise. However, it does not offer a dedicated library, hair salon, spa or other added gathering spaces that a larger vessel may have room for, but would seem extraneous on a compact vessel like this one. Overall, CroisiEurope offers an experience aboard La Belle de Cadix that suits travelers who prefer a low-key holiday with comfort, calm and sociable experiences shared with easygoing fellow travelers and friendly crew members. 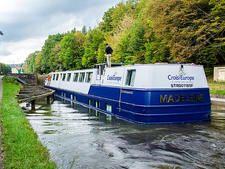 As a French cruise line, CroisiEurope attracts many French speakers, as well as Spanish speakers mainly from Spain, and English speakers primarily from Great Britain; though a few Americans may be onboard too. Announcements are made and excursions are led in all three of those primary languages, and passengers are grouped in the dining room according to the language they prefer to speak. "Smart casual" are the key words aboard this ship. During downtime onboard and on excursions, passengers should dress for the arid, toasty Andalusian temperatures that prevail all year; though for winter cruises, a light jacket or scarf will come in handy especially after sunset. Hats and sunglasses are a must. Evenings on the ship can be more "casual dressy," and while most passengers don upscale attire for gala events, men are fine in a sport jacket, and a sundress or a nice blouse and slacks or a skirt are fine for women. The all-inclusive cruise fare covers breakfast, lunch, snacks and dinner, and includes free beverages of wine, beer, juice, coffee, tea, and mineral water throughout the day -- as well as a selection of regionally appropriate Spanish wines at dinner. Drinks can be ordered from the Lounge Bar all day, and the only alcoholic beverage choices with an added charge are wines on the special menu. Wi-Fi on this ship is complimentary, although it's only available in the reception area and lounge bar. Onboard entertainment like local singers, dancers and even a bingo night are all included, as is the gala dinner. Shore excursions can be selected at an additional cost. Airport transfers and drinks ordered during excursions are not included. Gratuities are accepted at each passenger's discretion, and generally follow the industry standard of $5 to $10 per day per person, with tips shared equally among all crew members. Passengers are asked to use the envelopes in their cabins, and to deposit the envelope in a designated box upon disembarkation. A modest but comfortable ship that carries 176 passengers in 88 simply furnished cabins and offers a very French set menu at lunch and dinner. 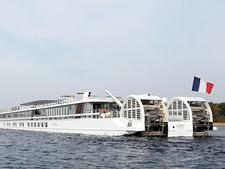 CroisiEurope's 22-passenger barge ship built in 2016 offers decadent dining and pleasant accommodation traveling through France's Loire River canal. 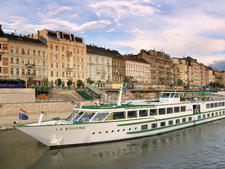 The 160-passenger La Boheme, which sails on the Rhine and Danube, CroisiEurope's 160-passenger Leonard de Vinci, which sails on the Rhine and Danube, offers French-inspired meals and an all-inclusive open bar. 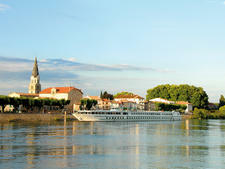 CroisiEurope's 160-passenger France operates on one of Europe's most famous rivers, the Seine. It boasts spacious public areas and an emphasis on its French heritage. 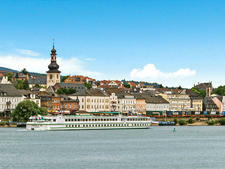 CroisiEurope's 174-passenger Vivaldi operates cruises on the Danube and Rhine Rivers. It offers complimentary bar drinks during the day and house wine, beer and drinks with meals. 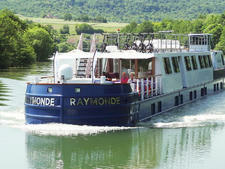 Raymonde, one of CroisiEurope's 24-passenger hotel barges, sails the Marne Canal and the Saint-Martin Canal, in Paris. It includes select alcoholic beverages and soft drinks in its fare. 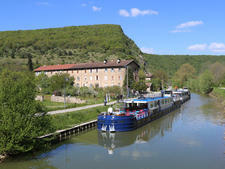 Madeleine, one of CroisiEurope's 24-passenger hotel barges, traverses the canals of Provence, following the wine route from Avignon to Sete, and stopping at villages along the way to sample local foods and wines. 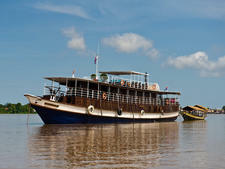 Toum Tiou is operated by CF Mekong River Cruises, a subsidiary of CroisiEurope. 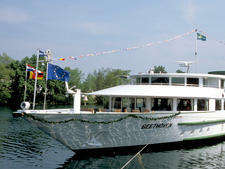 The 24-passenger ship's low draft allows it to access remote villages and the Gao Canal that flows into Saigon. 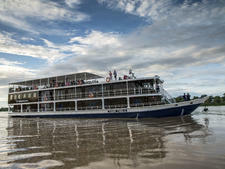 Inspired by the Mekong's ancient tradition of riverboat building, the 44-passenger Lan Diep boasts a traditional Colonial style with wood finishing and a metal hull. 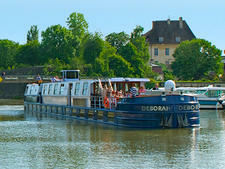 Jeanine, one of CroisiEurope's 24-passenger hotel barges, operates cruises along France's canals and rivers. 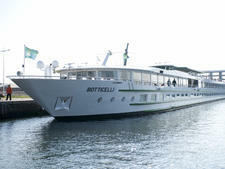 A 2013 refurb made it one of the most modern barges on the water. 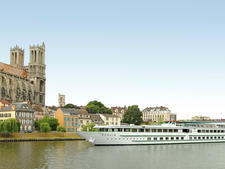 CroisiEurope's Princesse d'Aquitaine, a 138-passenger vessel based on the Gironde River, operates cruises through southwest France. 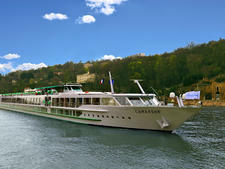 It boasts spacious public areas and an emphasis on its French heritage. 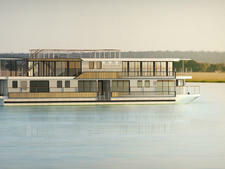 CroisiEurope was the first to design a river cruise ship to navigate the Loire River, and the result is the spare but stylish Loire Princesse. 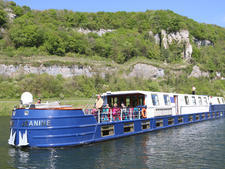 Anne Marie, one of CroisiEurope's 24-passenger hotel barges, traverses the canals of Provence, following the wine route from Avignon to Sete, and stopping at villages along the way to sample local foods and wines. 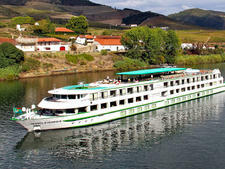 Offering competitive prices and French flair, CroisiEurope's 132-passenger Gil Eanes sails on five- and seven-night cruises out of Porto. 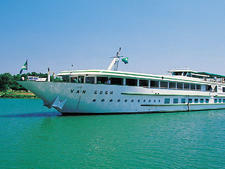 CroisiEurope's La Belle de l'Adriatique, a 198-passenger oceangoing vessel, was purpose-built for coastal cruises and sails to Greece, Croatia, Montenegro and Cyprus. 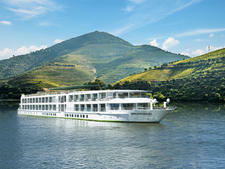 The 142-passenger Infante Don Henrique is one of three CroisiEurope river vessels that sail on Portugal's Douro and measures 246 feet in length. 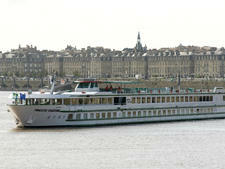 CroisiEurope's 151-passenger Botticelli operates on one of Europe's most famous rivers, the Seine. It boasts spacious public areas and an emphasis on its French heritage. 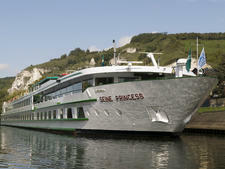 CroisiEurope's 138-passenger Seine Princesse operates on one of Europe's most famous rivers. It boasts spacious public areas and an emphasis on its French heritage. Lafayette is a sleek and stylish vessel and a departure from CroisiEurope's usual style in that its 84-passenger capacity is lower than the usual 100 to 180 range. 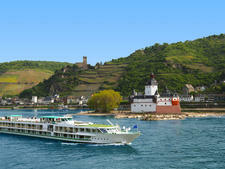 CroisiEurope's 160-passenger Leonard de Vinci, which sails on the Rhine and Danube, offers French-inspired meals and an all-inclusive open bar. 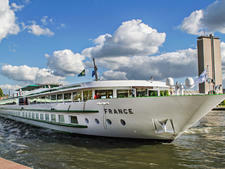 CroisiEurope's MS Cyrano de Bergerac cruises the Gironde estuary out of Bordeaux, sailing the Garonne and the Dordogne rivers, principally to visit wine-growing areas. 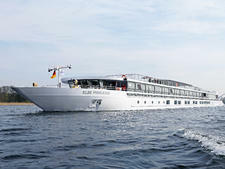 The 180-passenger Beethoven, which sails the Rhine and Danube, is one of five vessels in CroisiEurope's large fleet of European river cruise ships that measure 360 feet. 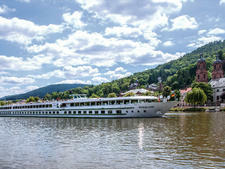 CroisiEurope's vessel is powered by two paddlewheels with an shallow draught of four feet to enable sailing the tricky Elbe and Vltava Rivers between Berlin and Prague. 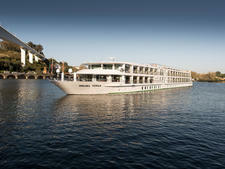 The 98-passenger Victor Hugo is one of a pair of smaller ships in CroisiEurope's fleet of European river cruise vessels designed for shallower rivers. 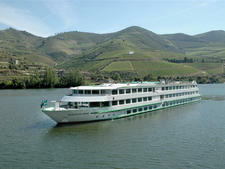 CroisiEurope 142-passenger Fernao de Magalhaes operates cruises along Portugal's Douro. 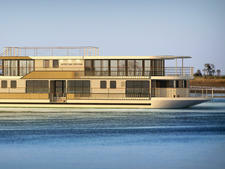 All 71 cabins feature convertible double beds and floor-to-ceiling windows. 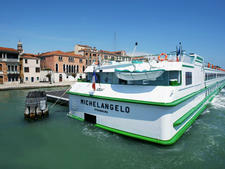 CroisiEurope's 158-passenger Michelangelo sails Italy's Po River and Venetian Lagoon. It features spacious public areas, as well as complimentary bar drinks during the day and house wine, beer and drinks with meals. 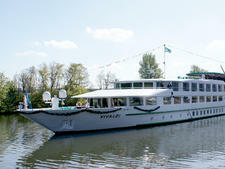 CroisiEurope's Modigliani, a 160-passenger vessel based on the Rhine, operates eight-night cruises between Amsterdam and Basel, travelling through Holland, Germany and Switzerland. 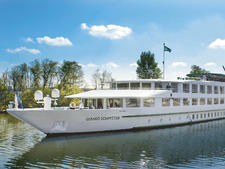 CroisiEurope's Symphonie, a 162-passenger vessel based on the Rhine, operates eight-night cruises between Amsterdam and Basel, travelling through Holland, Germany and Switzerland. 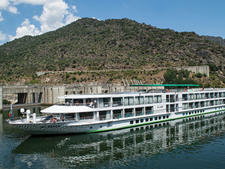 CroisiEurope 142-passenger Vasco de Gama operates cruises along Portugal's Douro. All 71 cabins feature convertible double beds and floor-to-ceiling windows. 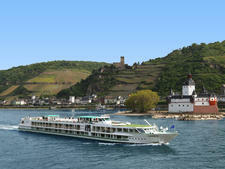 CroisiEurope's 174-passenger L'Europe operates cruises on the Danube and Rhine Rivers. It offers complimentary bar drinks during the day and house wine, beer and drinks with meals. 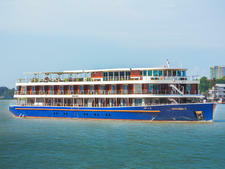 Launched in 2008 and completely refitted in 2012, Indochine is owned and operated by CroisiVoyages, part of French-owned and family-run CroisiEurope. 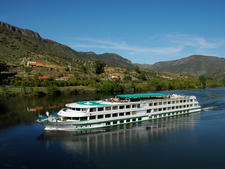 CroisiEurope's sixth ship on the Douro brings more of the line's European sensibilities and charm to Portugal. 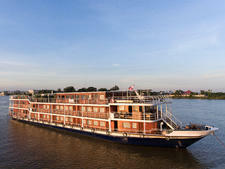 Launched in 2017, Indochine II is a small river ship dedicated to sailing itineraries along the Mekong in Cambodia. Styling is classic with modern amenities. 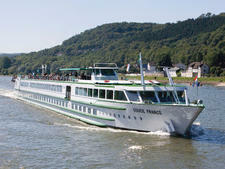 CroisiEurope's Douce France, a 160-passenger vessel based on the Rhine, operates eight-night cruises between Amsterdam and Basel, travelling through Holland, Germany and Switzerland. South Beach Miami vibe with lots of outdoor spaces, nine eateries, condo-style cabins and a five-slide waterpark; other highlights are low-cost Wi-Fi and full-sized bowling alley. 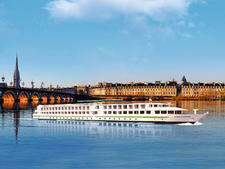 CroisiEurope's 158-passenger Renoir operates on one of Europe's most famous rivers, the Seine. It boasts spacious public areas and an emphasis on its French heritage. 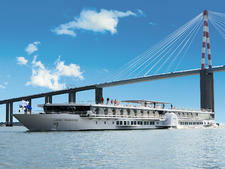 CroisiEurope's Camargue, a 148-passenger vessel based on the Rhone and Saone, operates cruises through the South of France. It boasts spacious public areas and an emphasis on its French heritage. 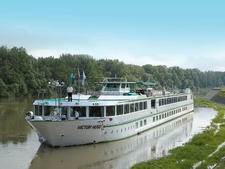 CroisiEurope's Mistral, a 158-passenger vessel based on the Rhone and Saone, operates cruises through the South of France. It boasts spacious public areas and an emphasis on its French heritage. 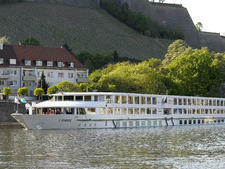 The 98-passenger Mona Lisa is one of CroisiEurope's smaller ships, designed for shallow rivers. 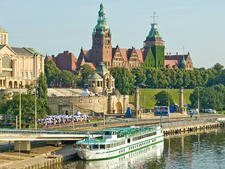 It operates cruises on the Tisza, Elbe, Danube and Rhine Rivers. 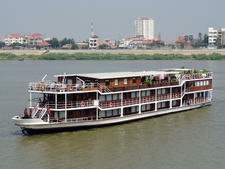 Toum Tiou II is operated by CF Mekong River Cruises, a subsidiary of CroisiEurope. 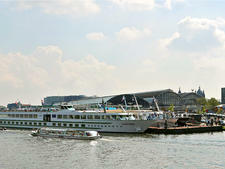 The 28-passenger ship's low draft allows it to access remote villages and the Gao Canal that flows into Saigon.